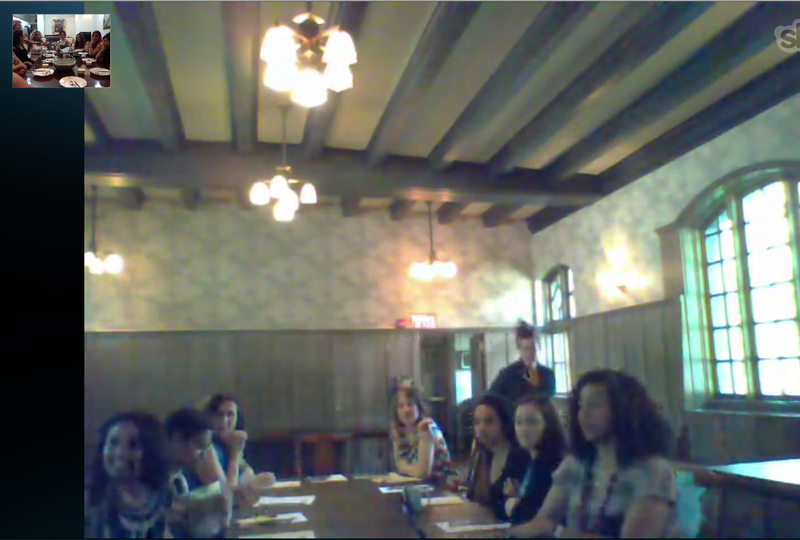 Soup Exchange was a Skype session between ten women in Iran, Esfahan and ten women in U.S, Chicago. Aush* was a center of this gathering and conversations accrued around it. In this gathering that took place in a private home in Iran, and in Jane Addams Hull-House Museum in U.S all women from both groups talked about Feminism in different aspects of their lives. They also talked about misconceptions about women in east and west. *Aush is an Iranian soup that is consumed by all different ethnic groups in Iran; Kurds, Lurs, Balochis, Azerbaijanis, Khorasani Turks, Qashqais, and Persians. This soup is also famous among different religious groups in Iran such as Muslims, Jews, Armenian Christians, and Assyrians. Aush however is almost always made in female-only gatherings by women as either brunch or supper.